Raccoons, cats, bees, gorillas, puppies, snakes, chickens, wild birds, ticks…sharing a planet with animals means we are often either impacting their health, they’re infecting us or we’re trading illnesses back and forth. And often the environment is a third-party conspirator. Our blog, One Health, brings you stories about how UC Davis researchers and health providers are shifting the dial toward improving the well-being of this triad. One Health is an approach encouraged by medical professionals to ensure the well-being of people, animals and the environment through collaborative problem solving. We also offer “how-to” advice on helping animals avoid illnesses or coping with potential problems triggered by being close to animals. I’m struck by the many threads that weave through the health of animals, humans and the environment. Take a look at these eight stories. Over the past several decades, society’s attitudes have changed on the roles of pets in our lives, and we keep them in close proximity as part of the family. In fact, an estimated 60 percent of Americans have pets in the house, which also brings us in closer contact with zoonotic diseases — particular illnesses that can be shared between humans and animals. Sykes also offers suggestions about what to do about it if you get infected. 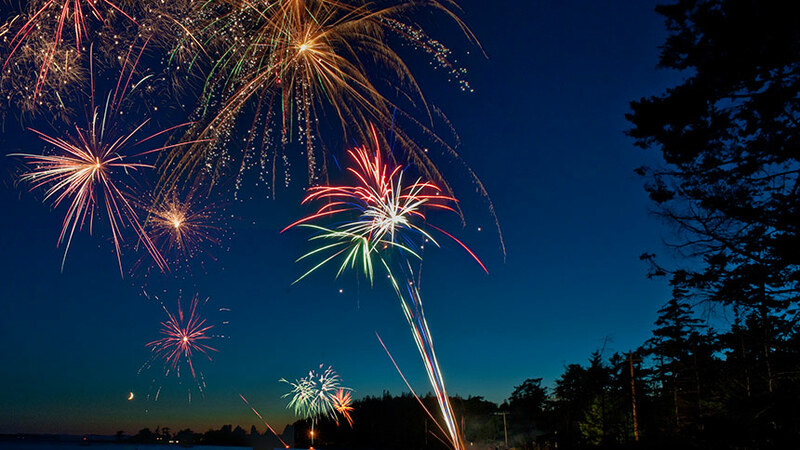 Michelle Hawkins, director of the California Raptor Center at UC Davis, brings our attention to how fireworks can harm wild birds and offers ideas of how to help our feathered friends. A veterinary clinical trial at UC Davis, where researchers used stem cells derived from their feline patients, has given Smokey the cat one more of her nine lives. She suffered from chronic gingivostomatitus or FCGS, a painful inflammatory mouth disease. Smokey’s treatment has reduced inflammation and promoted new tissue growth. And she’s back to eating. Researchers say these clinical trials also have potential implications for human health in treating a similar oral inflammatory disease — oral lichen planus — which creates ulcers in the mouth, making it difficult to talk and eat. Plans for human clinical trials may begin as early as next year at UC Davis. UC Davis veterinary pathologist Patty Pesavento says cancer is getting more prevalent among wildlife, based on the increasing presence of raccoon polyomavirus. Pesavento is a pathologist at the School of Veterinary Medicine who has spent years studying raccoon polyomavirus, a disease which causes serious tumors in raccoons’ nasal cavities. These generate intense pressure on the brain, resulting in zombie-like behavior and, ultimately, death. If you were to have asked Pesavento 10 years ago whether cancer was a major concern in wildlife, her answer would have been a flat “no.” But her work with raccoons in recent years has changed her opinion. She believes that in the past 60-odd years, raccoons have expanded their territory in the U.S. for foraging and picking through abundant human food waste. The change was triggered by the first planned suburb in Levittown, New York, in 1947; similar housing developments swept the nation shortly thereafter. Raccoons, which had previously either lived amid the hazards of the city or scraped by on what they could forage in the forest, suddenly saw their environment transformed. Our veterinary researchers in Africa have figured out how to detect viruses in wild mountain gorillas and monkeys without touching them. While chewed plants and sticks might not make a beautiful photo, using them as a health tool really is an elegant solution to a confounding limitation. The team collects discarded sticks and plants and tests them for a variety of viruses back in the lab. 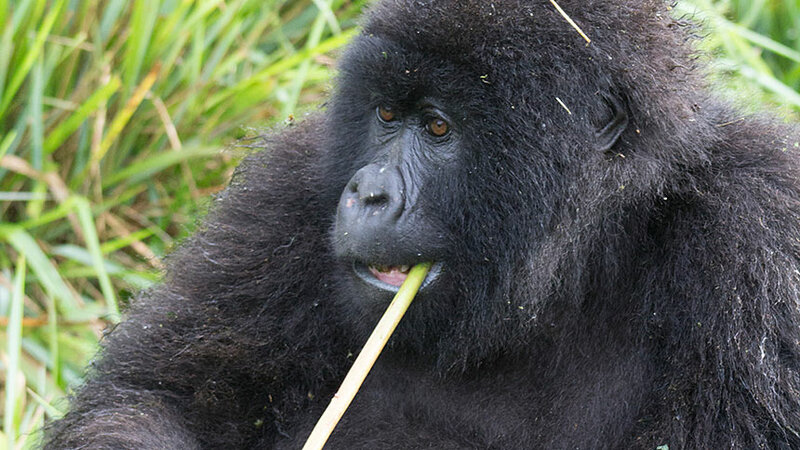 This research is particularly important for mountain gorillas, because only some 880 members of this critically endangered subspecies remain in the wild. UC Davis gorilla veterinarians must go to them in the mountainous Virunga Conservation Range, which spans Rwanda, Uganda and the Democratic Republic of Congo, and in the Bwindi Impenetrable Forest in Uganda. About 60 percent are accustomed to humans as a result of ecotourism in the region. They are at high risk for contacting human viruses and bacteria. In fact, these infectious diseases pose one of the greatest threats to the survival of great apes in the wild. This post is aimed at the backyard chef, courtesy of Christine Bruhn, UC Cooperative Extension specialist emerita. We give you tips to keep your guests healthy, happy and coming back for more. UC Davis has devoted itself to the health of bees through much of our history, including developing techniques to artificially inseminate queen bees in the 1940s. Our program, based at the Harry H. Laidlaw Jr. Honey Bee Research Facility, has grown into a comprehensive, state- and federally supported bee facility. Figuring out how to weigh a bee: UC Davis entomologists and an interdisciplinary team of undergraduate engineering students are working on a new tool to weigh bumblebees that far surpasses the conventional lab balance. The entomologists want to understand the health of the hive down to the individual bee, and that requires knowing how much individual bees weigh, as well as fitting them with tiny radio-frequency identification (RFID) chips so that single bees can be tracked entering and leaving the hive. Learning that honeybees reduce microbial growth in their food: UC Davis scientists found that when honey bees shift from nurse bees caring for the brood to foragers searching for nectar and pollen, they turn on a set of genes that protect against microorganisms and break down toxins. These antimicrobials and antitoxins act as preservatives, protecting honey and other stored resources from spoilage. That has implications for hive health and management. Analyzing wild bee declines in areas of high-demand crops: A study by UC Davis and the University of Vermont suggests that wild bee populations likely declined in 23 percent in the U.S. between 2008 and 2013. It’s a decline associated with converting natural wild bee habitat into intensive agriculture. UC Davis entomologist Neal Williams helped design the study and led efforts to assess bee habitat quality as part of the Integrated Crop Pollination Project. He found that areas where crop demand has increased the most showed the greatest decline in wild pollinators. Our poultry experts, led by Huaijun Zhou, director of the Feed the Future Innovation Lab for Genomics to Improve Poultry, are taking an innovative genomic approach that promises to outmaneuver Newcastle disease, the leading killer of chickens in the developing world. UC Davis is developing a disease-resistant, heat-tolerant breed of chickens for climate-stressed areas in Africa, where small-scale poultry production has the potential to significantly reduce malnutrition. Threats like Newcastle disease stand as a huge barrier, as they can devastate flocks up to twice a year. Keep current with new stories about how we are helping improve the health of animals, humans and the environment by reading the One Health blog. Susanne Rockwell, a longtime campus communicator and alumna, is web editor for the UC Davis homesite.